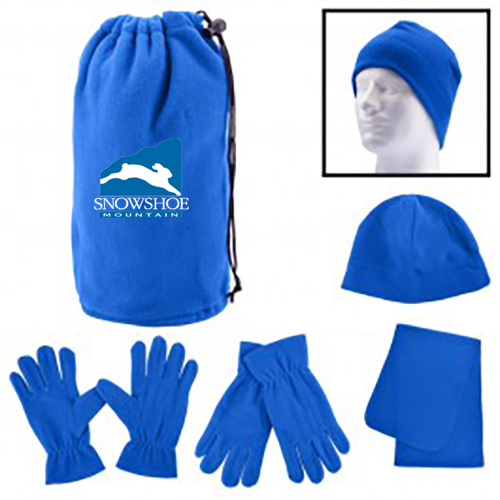 100% Polyester fleece (230 GSM) drawcord pouch packed with matching fleece hat, gloves and scarf. 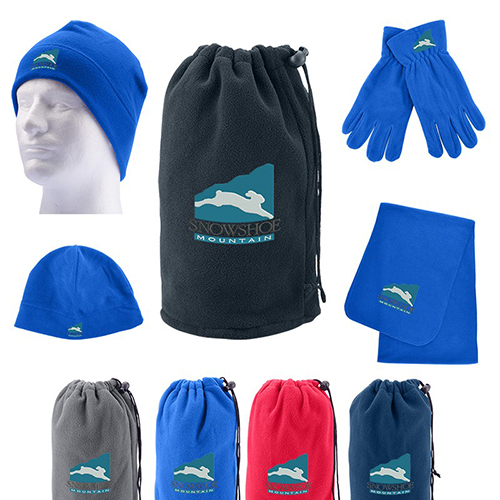 Set components come packed inside pouch. 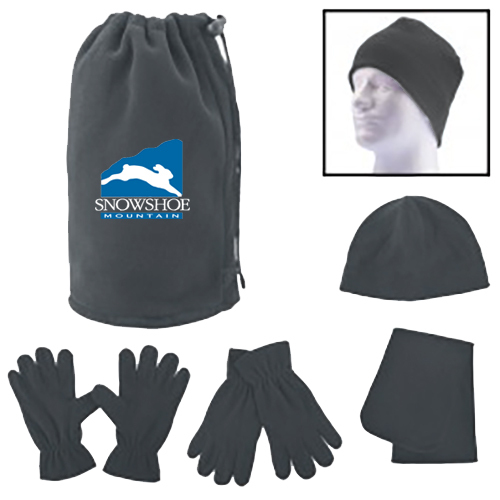 Component dimensions: Hat - One size fits most (8”h), Gloves - 10.5"l, Scarf: 65”L x 9.75"w.
Bulk / 33 lbs / 50 pcs. / 22x22x17box.